Wednesday I skipped out of the conference totally. I wanted to wander around old Havana, check out some of the tourist attractions and go to the Museo Nacional Palacio de Bellas Artes which we had come across wandering the night before. 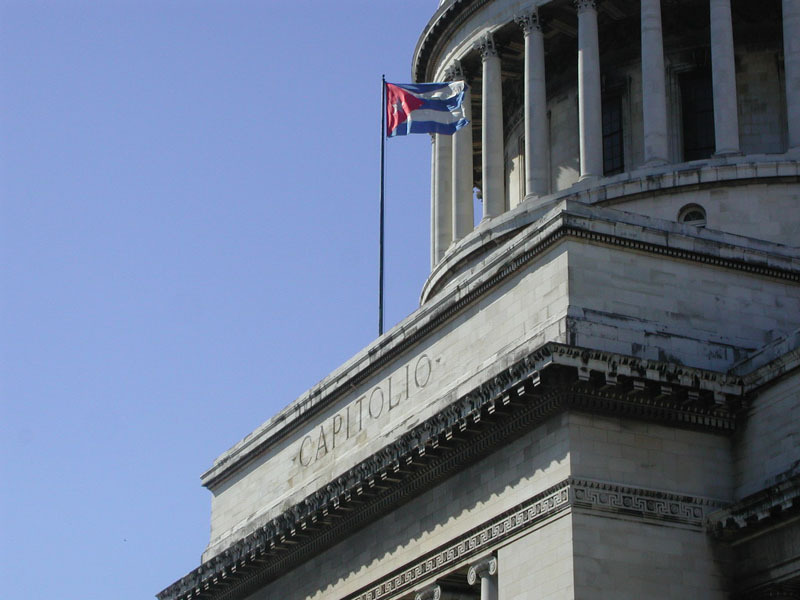 First stop was the Capitolio Nacional -- the seat of the (now nonexistent) Cuba Congress (until 1959). It's like the US Capital Building in Washington, took 3 years and 5000 workers to build in 1959. Just inside the main entrance is an impressive bronze statue of Jupiter. 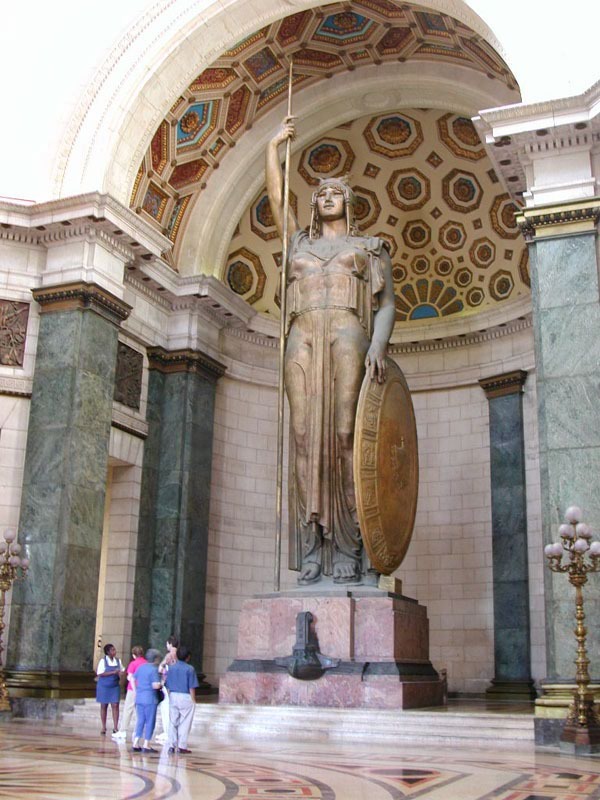 At 49 tons and 17m it is the third largest indoor bronze statue in the world (after the Nara Daibutsu and the Lincoln Memorial). 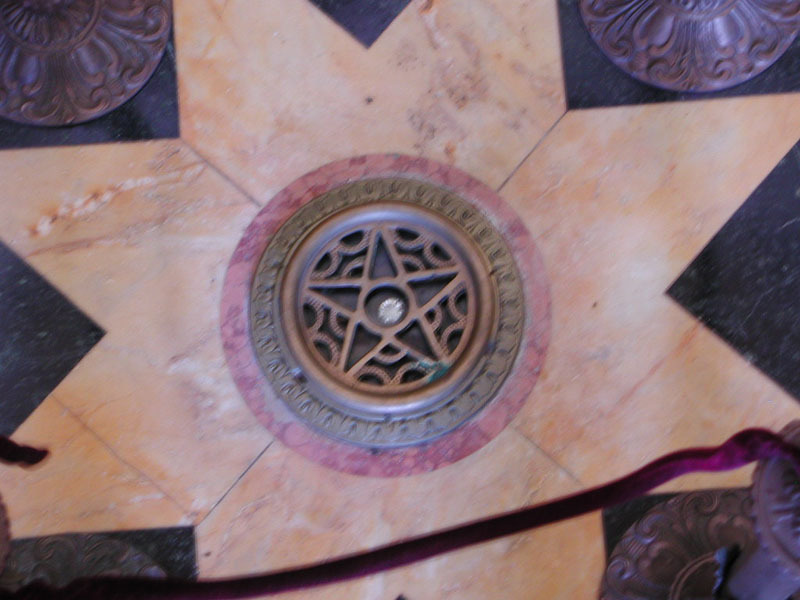 And in the middle of the floor, directly below the apex of the dome, they installed a 24 carat diamond. I want it. 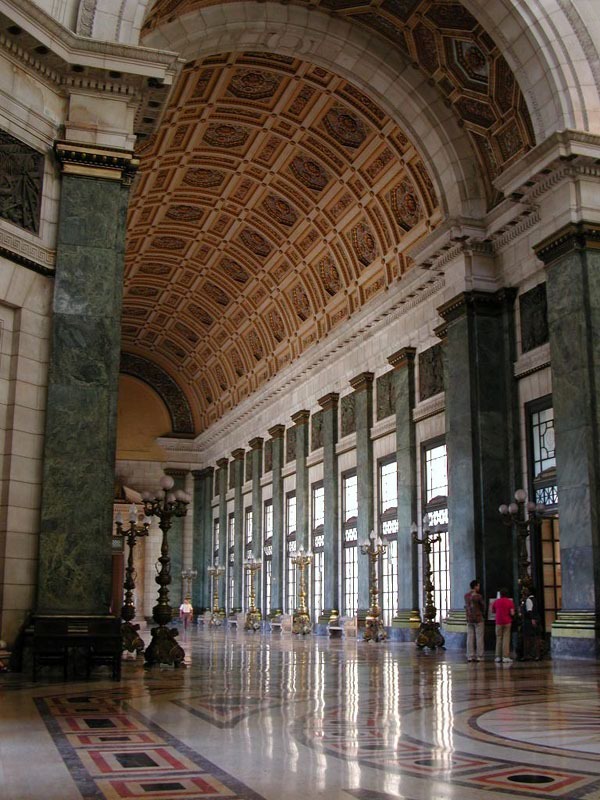 The building does not serve a governmental function anymore. It's basically a museum / tourist attraction. 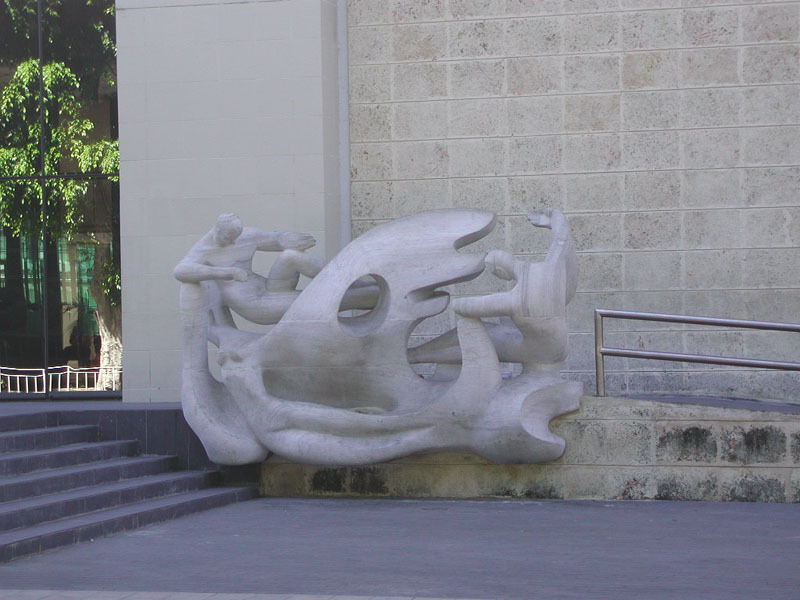 After the Capitolio, I hit the Art Museum -- entirely Cuban art over the last few centuries. It's a pretty impressive building and collection. Unfortunately, it was touring here that my digestive tract decided to let me know in no uncertain terms how it felt about me quite suddenly becoming a carnivore. So I ended up hurrying through a lot of the museum and heading back to the hotel, where I crashed for the rest of the afternoon and the evening. Blech.